Oral Polio is a serious but preventable disease. In India, hundreds and thousands of infants and children used to get infected with polio virus and suffer from its serious consequences mainly paralysis. 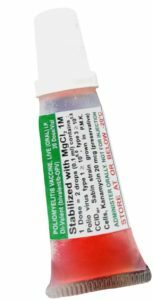 Bio-Med’s Oral Polio Vaccine is prepared using attenuated Sabin Strain Polio viruses. The vaccine is clear light pink in liquid form and light pale yellow in frozen form. Bio-Med’s Oral Polio Vaccine conforms to Indian Pharmacopoeia. Poliomyelitis vaccine is indicated for prevention of Poliomyeltis against Type 1 & 3 polio Viruses, pulse polio program and in supplementary immunization activities(SIA’s) in children from 0-5 years of age. The doses and interval of Poliomyelitis vaccination should be according to National Policy. Squeezable Plastic tube with VVM Label (20 dose). This is latest generation packing is superior in handling quality, leak proof and nozzle designed to deliver exact drops of vaccine. In glass vial with VVM Label (20 dose) and sterile plastic dropper. Bio-Med in an effort to improve product quality came up with the state of the art labeling of Oral Polio Vaccine with imported VACCINE VIAL TIME TEMPERATURE SENSITIVE INDICATOR for the first time in India. Ensures efficacy with round the clock surveillance from the manufacturer to final user. Improved confidence in the quality and reliability of the product. Demonstrates compliance with handling rules / regulations. Immunodeficiency- Individuals infected with human immunodeficiency virus (HIV) both asymptomatic and symptomatic should be immunized with the vaccine according to standard schedule. However the vaccine is contraindicated for those with primary immuno deficiency disease or suppressed immune response from medication such as leukemia, lymphoma or generalised malignancy. 2 drops (0.1 ml) of the vaccine is administered orally. Vaccine is potent if stored at or below -20ºC until the expiry date indicated on the label.